Innovation is a top-three priority for 77% of companies, according to a survey of 1500 executives by Boston Consulting Group.2 And talk of innovation is on the rise. Back in 2007, 99 of the S&P 500 mentioned “innovation” in their third-quarter conference calls, as measured by Capital IQ. By 2013, the number was 197. But for all this investment and confidence, most innovations fail to meet expectations. Harvard Business Review notes that 75% of consumer packaged goods and retail products fail to garner even $7.5 million of sales in their first year. Not even 3% of these innovations reach $50 million in sales in year 1. In this paper, we discuss ways to improve innovation outcomes. We will address setting goals, instituting the right mindset, ideating robustly, and refining and preparing concepts for market. But first we will discuss what “innovation” really is. With so much talk of innovation, one might think that the term itself has a well-accepted definition. It doesn’t. Many associate the term with lightning-bolt “Eureka!” moments of creativity and genius. An innovation program can have moments of genius, creativity and invention, but innovation success isn’t defined by or dependent upon any of those qualities. Innovation is a process. In The Game-Changer: How You Can Drive Revenue and Profit Growth with Innovation, P&G CEO A.G. Lafley defines innovation as “the conversion of a new idea into revenues and profits,” drawing the distinction between creativity and invention, in and of themselves, and the process of monetizing their outcomes. Ultimately, the most relevant innovation outcomes can be measured on P&L statements and by favorable customer behavior. How much revenue should come from new products? Studies show that about 30% of company revenues come from products introduced in the last three years. This number varies by industry and company, but you should weigh the role of innovation on your business growth in deciding your priorities. What is your risk profile? Placing fewer big bets may be riskier than opting for many smaller bets. Being a first mover is also riskier, but the upside is a larger return than that realized by a follower, even a fast follower. Your overall appetite for risk will govern many decisions throughout the innovation process. How much are you prepared to invest? With dedicated budgets, innovation will get more focus and energy than if it’s merely a buzzword in people’s job descriptions. Many of these questions are interdependent and relate back to the overall company strategy. (See our white paper Designing a Strategy for Growth: Blueprinting in Six Steps for more information.) Regardless of that strategy, innovation can flourish only if goals are clearly set, communicated, and embraced by top management as a key initiative rather than a fleeting t-shirt tagline. Innovation operates on a continuum. Some innovations are “new to world,” like the iPod or the Gutenberg press. Others are “new to category,” like the application of stevia to sweeten soft drinks or the first 30-pack case of beer. 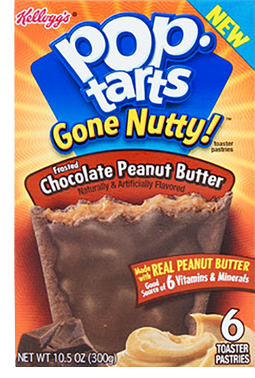 Still others are just “new to brand,” like adding peanut butter as a new Pop-Tart flavor. Evolutionary innovations can prove highly successful in the short term with manageable risk. Gatorade, for example, drove growth for years by adding new flavors like Lemonade, Cool Blue, and Fierce Melon. Innovations like these try to maximize the business with today’s customers. But a resulting weakness is that evolutionary innovations are myopic to changing business definitions. Further, in mature categories where SKU proliferation is the rule, marketers risk alienating consumers by increasing the complexity of purchase decisions without a meaningful upside. A trip to the toothpaste aisle in your local supermarket offers a prime example. Revolutionary innovations try to redefine a business and take it to new places. These innovations are focused on tomorrow’s consumers, which entails more risk. Each category of innovation requires different capabilities and approaches and comes with its own set of upsides and downsides. Organizations need to manage their innovation mix like a portfolio and be mindful of their company's capabilities and business dynamics. Optimistic outlook. Innovators want to change the world. They are eager to challenge the status quo and overcome barriers to change. Voracious desire to learn. Information and data are at the heart of the scientific method. Innovators want to observe, listen to, experiment with, record, and consider the world around them. Desire to look at information in new ways. “Kaleidoscope Thinking” is a way of constructing new and relevant patterns from fragments of data. This is done when people question assumptions and find new lenses through which to view information. Open communication. Innovation is spurred by sharing ideas, collaborating across people and disciplines, and creating an atmosphere that encourages unplanned interactions. Pixar’s campus, for instance, was built to get people out of their offices to mingle with colleagues. Intimacy with the target audience. Successful new products and services must appeal to a market. A critical part of the innovation mindset, therefore, is cultivating a passion for this market and a desire to dive deeply to understand customer needs – both known and unknown. Acceptance of failure. Edison tested thousands of materials over 14 months before finding the right filament for the light bulb. He didn’t consider the long journey a failure. He remarked, “I have not failed. I’ve just found 10,000 ways that won’t work.” Intuit, a leading provider of financial software, famously celebrates big failures. As former Chairman Scott Cook says, “It’s only a failure if we fail to get the learning.” For insights into the root cause of our aversion to failure, Sir Ken Robinson explained in a stirring speech how our education system undermines our creativity. See www.ted.com/talks/ken_robinson_says_schools_kill_creativity. Hewlett-Packard is another tremendous example of the innovation mindset. The company was founded in 1939 in a one-car garage in Palo Alto, California. According to legend, posted on the wall of the garage were 11 rules that helped HP become one of the most successful startup companies of all time. The best processes and goals for innovation won’t matter if the right mindset isn’t in place. Only with this mindset will the petri dish be ready to accept and grow new ideas. Inspiration can come from many places. There are many publishers of market research (e.g., Datamonitor, Mintel, Nielsen) that track market and consumer trends. There are innovation “gurus” who can lead your team through an ideation offsite (see, for example, Eureka! Ranch). There is no one right way to inspire and track ideas. There are, however, a number of drill sites that warrant exploration. Consumer. This is the audience you are trying to win. Steve Jobs is famous for shunning consumer research and focus groups because, as he said, “People don’t know what they want until you show it to them. That’s why I never rely on market research.” But Jobs was an outlier, and a tremendous amount can be learned with careful assessment of consumer needs, wants, and dissatisfiers. For example, user ethnographies can offer useful insights by following consumers through their day to see how they actually use products in order to fulfill their needs. Technology. Brainstorming all the consumer applications from your own (and other people’s) technologies is a smart step. Not all of the brainstorming output will make sense to pursue, but the exercise can create great energy and ideas. DuPont’s invention of Teflon, for instance, spawned products ranging from cookware to coaxial cables to hydraulic hoses. Amazon.com was created when Jeff Bezos sought the best application for the internet’s new ecommerce capabilities (he reviewed the top 20 mail order businesses to find the ones that could be conducted more efficiently over the internet). Connections. Great ideas are often inspired by something or someone unrelated to your own industry. For example, Velcro came about after its inventor went for a hike and was fascinated by the burrs that stuck to his clothing. Other inspiration can come from your personal network. Malcolm Gladwell’s The Tipping Point describes how a small group of well-connected trend-makers influence our culture. You may not be part of that inner circle, but filling your own network with smart people can provide a stimulating environment that spurs creativity. Another drill site for ideation is other companies and partners. The Spotlight on Open Innovation explains how third parties are increasingly being used to come up with ideas. Innovation ideas don’t need to come from your own organization. “Open Innovation” is a process through which companies tap research, knowledge, and inventions from outside people and companies. Just as your business can benefit from products or concepts developed by third parties, internal inventions that won’t be commercialized by your own company can be sold or licensed to others. Procter & Gamble has been a strong advocate of open innovation for over 15 years. Their program is called Connect + Develop. Visitors to pgConnectDevelop.com can learn how the process works and see past successes, current needs, and what P&G looks for in an innovation partner. P&G’s open innovation approach has created more than 2,000 successful agreements with innovation partners around the world. With the program in full swing, P&G saw their new-product success rate rise from 35% to 50%. The success of open innovation, however, is dependent on the soundness of the recipient company’s innovation process. Even the best ideas will fail if the execution falls short. Innovation is both an art and a science. Ideation leans towards art, but the process of developing and commercializing innovations leans towards science. The phase-gate approach is embraced by many respected innovators, from P&G and PepsiCo to Honeywell and Kraft. The goal of this methodology is to efficiently and effectively shepherd prospective new products to market. There are many versions of the phase-gate approach. Here we will present a simple overview of the concept. Discover & Create – leverage learning to generate ideas and concepts. Test & Assess – build a business case considering the market, consumer, retailer, competitor, and other dynamics. Design & Develop – define product specifications and prototypes; this is an iterative process, with work being tested and refined. Prepare & Launch – establish the supply chain, ramp-up production, and bring the product to market. Evaluate & Learn – evaluate both the product and the process. How well the work in the recent phase was conducted. Is the process being followed to maximize information and minimize risks? How attractive the business case is at this point. Are the economics still attractive? What the next steps are. Is there alignment on the investments and work in the next phase? The decisions at a gate could be go, no-go (kill or hold), or recycle to get more information. Steering Team – group that oversees the gates; usually a senior team of decision makers. Category Team – group that has close connection to the market, consumer, and competitor insights; this team fosters new ideas. Project Team – group that works to bring concepts through the phases; this team usually involves people across many disciplines. Platform description – overview of the product description. Consumer target/insight – review of the demand desires of the marketplace. Key benefit – description of what this product is aiming to achieve. Point of differentiation – clarity on how this product will stand out from the others in the market. Areas to explore – indications of research needed or questions to be answered. Success criteria – benchmarks for efficacy, branding resonance, quality, trial and repeat. Financial projections – estimates of revenue, profit, start-up investments and project return-on-investment. Smart processes can help enhance a company’s innovation engine, but care should be given to not add too much bureaucracy; innovation must maintain a carefree spirit and a challenger mindset. Studio One Eleven is the innovation division of Berlin Packaging, a leading supplier of rigid packaging. They have been innovation catalysts since 1999. The team helps clients develop new brands, new structural packaging solutions, and new industrial design solutions. They’ve driven innovation in industries ranging from yachts to footwear to consumer goods of all types. Studio One Eleven works through every innovation stage – from discovery and design to preparation and launch. You can see more of the Studio's approach in the paper Designing a Winning Package Structure: A Process for Delivering Delight. What sets Studio One Eleven apart from other agencies is that it performs most of its innovation services at no charge. Clients get the benefit of a world-class team of strategists, creatives, designers, and engineers in exchange for purchasing the packaging solution through Berlin Packaging. Because Studio One Eleven is rewarded when Berlin Packaging sells packages, the Studio is singularly focused on innovations that will win in the market. Studio One Eleven delivers branding and packaging excellence with aligned incentives, an end-to-end process, and demonstrated results. They are a unique “Open Innovation” solution for clients who want to strengthen their innovation pipeline. Innovation requires juggling many balls and making many tradeoffs. While aiming for the next killer product, there is the need to stay practical. Your innovation budgets should correlate to the amount and magnitude of innovation you’re seeking. For game-changing new products, you’ll need meaningful investments in things (e.g., market research or laboratories) and people. While it’s not necessary to have a dedicated team of innovators, the innovation process requires a certain type of person. Our white paper People Power: Building a Profitable Business through Human-Resource Excellence highlights the importance of personality traits when building a team. General Electric measures its leaders on “growth values,” which include External Focus, Imagination and Courage, and Clear Thinking. GE seeks and rewards employees with these traits with the knowledge that these people can help the company grow. Value maximization. Allocate resources to achieve the highest expected value of the portfolio. Diversification. Spread risk by balancing projects across dimensions like long-term vs. short-term, evolutionary vs. revolutionary, product category X vs. category Y. Resource allocation. Pursue the right number of projects given the resources you have. Strategic direction. Ensure the portfolio is aligned with the company’s overall imperatives. As new information arises, individual projects as well as the whole portfolio should be re-examined. After all the work of building a new product, you don’t want to lose the benefits by having someone else steal your ideas. There are many legal tools available to protect your intellectual property, and you may want to find an attorney who specializes in structuring intellectual property agreements. As a start, you can educate yourself on the basics of trademarks, copyrights, patents, and trade secrets. Also, use well-written non-disclosure agreements with any outside parties and make sure your employment agreements spell out your firm’s rights to employee-generated intellectual property. Innovation is essential for business growth. Consumers’ short attention spans drive them to look for new products that satisfy their evolving needs and preferences. While companies realize this and are investing more than ever in R&D, many fail to produce winning results. This paper defined innovation and reviewed ways to make it more efficient and effective. First, companies need to set clear innovation goals. Second, organizations must embrace the right innovation mindset, taking cues from Thomas Edison and the early days of Hewlett-Packard. Third, companies should tap into multiple sources to generate innovative ideas. Fourth, processes like the phase-gate approach add discipline when bringing new ideas through the innovation funnel. All four of these steps – and the practical tips discussed in the last section – help increase the odds of innovation success. And innovation is a learned process; companies that follow all these steps and learn from their failures will do far better than new-product novices. For companies with less “innovation experience,” selecting partners to help with the overall process and with key phases is a way to improve the odds.